My house living-dining room tiles uses polished ceramic tiles which is very slippery when wet. Our maid mopped the floor so the floor was wet. I slipped and fell and that was when I decided to do something. My initial step is to buy a WET FLOOR sign to warn people when the floor is wet and slippery. However, I want to go one better - search for anit-slip vinly tiles solution and I found it in FLOVOER anti-slip vinyl tiles. The good thing about Floover Loose lay anti-skid vinyl tiles is that it only need a flat surface and are not glued to the floor. We have a bad experience where our tenant installed carpet on the staircase without asking our permission. And when they left, the carpet was removed and it left behind ugly glue remnants spots which are impossible to remove completely and we likely will also install anti-slip vinyl tiles with aluminium step nosing on the staircase. The sales person Choy was very professional and they did a good job including providing support. Our only minor irritation is our living room faces the rising sun so we had to pull down the blinds to cut off the sunlight as the UV light may cause color fading. However we were told it is a minor problem as the fading would only be slight. However, because our windows are not well protected from the rain, each time it rain we had to close the windows. My fear is the if the floor is wet, capillary action my cause the rainwater to seep to below the vinyl tiles. Our concerns were also lessened when Choy says the gap is very tight so this would be a minor problem. We had a small problem - we had different color for the steps but the topmost vertical step tile color was matched with the landing floor and not the rest of the step. We asked for this to be corrected and Choy kindly consented and helped us change. Plus provided us a few spare vinyl tiles as spare for the future. The Inland Revenue Board of Malaysia (IRB) has advised taxpayers not to ignore letters or emails on the Special Voluntary Declaration Programme they received. In a statement released today, the IRB said taxpayers who received the letter or email regarding the programme should take immediate action by reviewing their tax records and declare all their income and expenses within the offer period of Nov 3, 2018, to June 30, 2019. "This is to ensure that they enjoy the imposition of a low penalty rate of only 10 and 15 percent on the amount of tax payable. The voluntary declaration made within the period will also be accepted in good faith without further inquiry from the IRB," the statement said. When tabling Budget 2019 in Parliament, Finance Minister Lim Guan Eng announced that the Special Voluntary Declaration Programme was part of the government's initiative on tax reforms to encourage taxpayers to voluntarily declare their income and subsequently reduce the leakage of revenue. Meanwhile, according to the statement, the IRB was currently in the process of sending out the letters and emails to more than 8.3 million registered taxpayers. Among the criteria of taxpayers who will receive the letters or emails are registered taxpayers who have yet to submit their Income Tax Return Form (BNCP) and registered taxpayers who have failed to submit their BNCP in a regular manner (some years are missing). In addition, registered taxpayers who have submitted BNCP but are found to have tax compliance issues such as under-declaration of income or over-claiming on tax relief. "After the programme expires on July 1, 2019, further checks may be done by IRB through audits or investigation and a higher penalty of between 80 and 300 percent will be imposed," said the statement. In the meantime, for the avoidance of being duped by third parties over the implementation of the programme, taxpayers who receive the letter or e-mail notification may seek further confirmation. 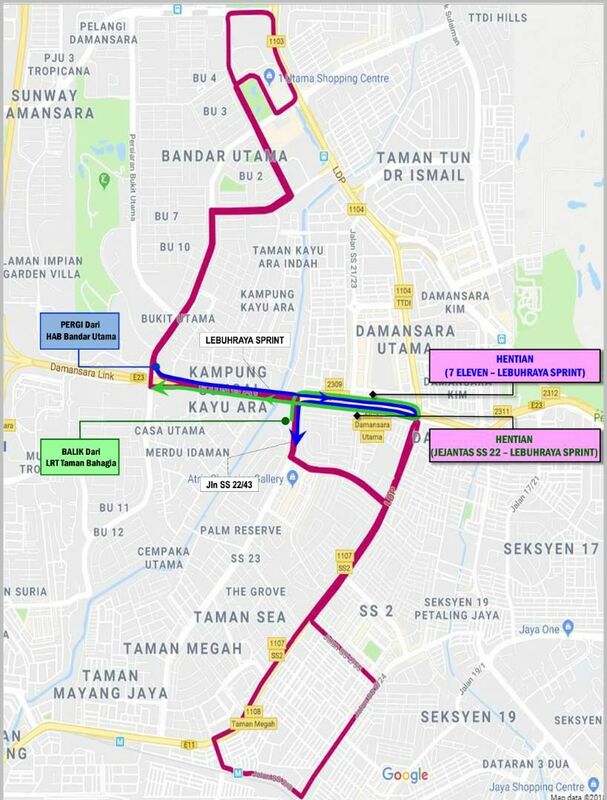 We are pleased to inform you that Majlis Bandaraya Petaling Jaya (MBPJ) has agreed to include two (2) stops at Damansara Uptown into the route of the PJ City Bus (PJ05) and to conduct a trial run with the new stops aiming to fulfil a public transport need at Damansara Uptown. The PJ City Bus service is a bus service designed for the intercity that links the city centers such as PJS, SS and Sections (excluding the PJU city center zone). The PJ City Bus (PJ05) covers the route between the Bandar Utama Bus Hub and the Taman Bahagia LRT Station. 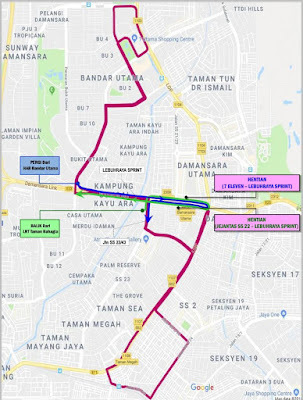 The two (2) stops at Damansara Uptown are the bus stop near the 7-Eleven (Sprint Highway) as well as the bus stop at the overhead bridge at SS 22 (Sprint Highway). 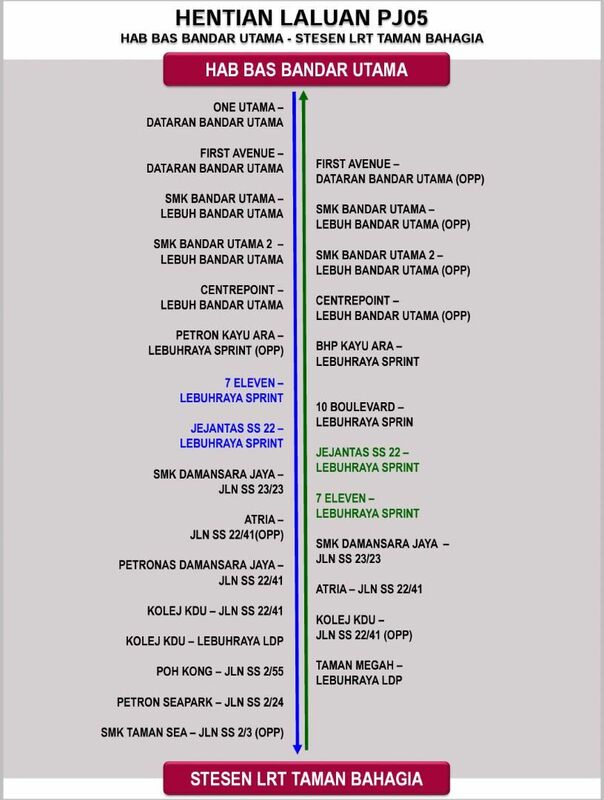 Enclosed please find the route and the stops for the trial run of the PJ City Bus (PJ05) for your reference. 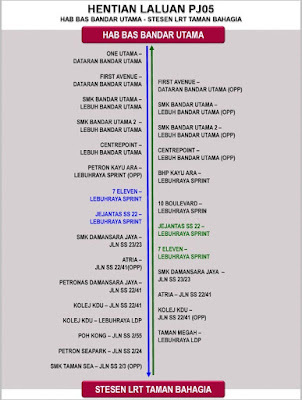 The introduction of these two (2) stops into the PJ City Bus (PJ05) route is set to commence on 1st December 2018 and will operate for a three (3) month trial period which shall end on 28 February 2019. We trust that this bus service will be of practical benefit to the communities. This trial period will show whether or not the service can be sustained in the long run. Therefore, we would really appreciate if this bus service is utilised to the fullest. The more users, the better!! Now we don't have to travel that for for sourdough bread. We can get sourdough bread and other fermented products at Yin's Sourdough Bakery and Cafe along Jalan SS21/37 in Damansara Uptown. I used to make kefir, a fermented drink, at home for my family but has stopped because it is labor intensive plus we cannot stop for lengthy period. We have to continue fermenting otherwise our kefir grains may die. According to their own assessment, MPV Taxi provides the best service to and from KLIA and KLIA2 as well as services to Genting Highland, Cameron Highlans, Bukit Tinggi, Melaka, Penang, Langkawi, Ipoh and Johor Bahru. A new Pilates studio will soon be set up in Uptown Damansara. Keep a watch on this blog for updates. It will be a welcome addition to the Uptown offerings, especially the office workers who finishes work around rush hours. Nice place to work out, keep fit, then when the traffic jam clears, easily drive home without hindrances from traffic jam. Want to eat delicious steamed pau? 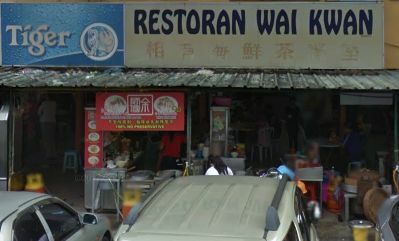 Head for Restoran Wai Kuan. Unfortunately it is not in Uptown plus you will have to endure long queue. But lots of people says it is worth the journey and the long wait. Hand made pau with 10 varieties of generous fillings - char siew, mui choy, nam yu pork. If you prefer sweet then try lotus seed paste, tau sar, custard. Mui choy pau is new to me, must try one day.